And so we come to the end of our Quietus previews of this weekend's Short Circuit. After we've spoken to Carter Tutti, explored the favourite albums of Andy Bell and Alan Wilder, delved into the present and future of The Residents, and listened to the music selected by Renegade Soundwave, it felt only right and proper to go to the main man, the head honcho - Mute boss Daniel Miller. When we last spoke with Miller around the time of the BBC Synth Britannia programme, he was in the middle of negotiating the departure of Mute from EMI. Now, 18 months later, Mute once again functions as an independent label, operating from offices down in Hammersmith. Incidentally, when I first visited the new HQ, the staff were complaining about all the drilling which, from a label who pioneered industrial music, seemed a bit rich. There can be few labels who'd be able to put on a bill as diverse as Mute have at Short Circuit. I've always been fascinated by the breadth of their catalogue, from the Bad Seeds to Erasure, Liars to Diamanda Galas, Robert Rental to Apparat, and it's this that they're celebrating this weekend. 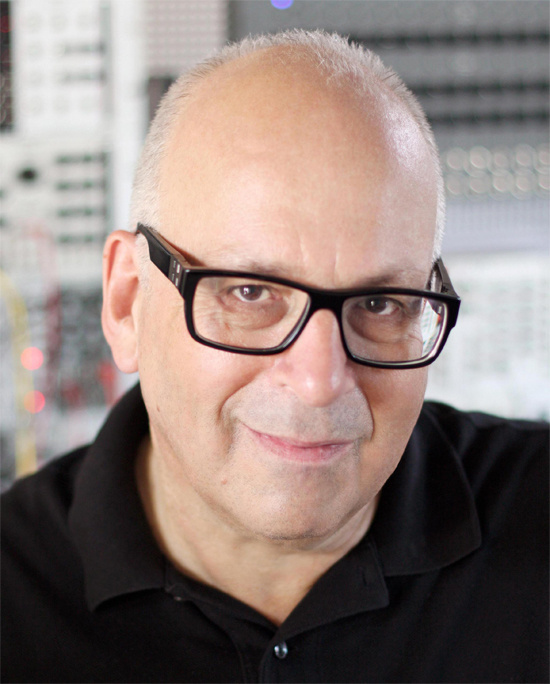 Here, Daniel Miller tells us about the departure from EMI, his philosophy in running the label, and what happened to the synth he bought off Kraftwerk. So Daniel, how is it being a fully independent label again? Daniel Miller: If feels really good. We were with EMI for eight years, and most of that time was very good, but because of what was going on at EMI and with the industry in general it was a bit tricky towards the end. We still have a relationship with EMI, and we’re on good terms with them, there are some very good people working there. I’m independent as a label, Mute as a name is still owned by EMI but we license it from them, but the company is an independent company. I’m not good at working the system, and I like to make decisions and act on them quickly, and that’s hard in any big organisation, and quite frustrating, and that made me feel that I couldn’t do some of the things that I really wanted to do. It feels like a bit of a weight off my shoulder now. In the current climate, do you think it’s better for independent labels because you’re more adaptable? DM: I think you can respond more quickly simply because there are fewer people to have to sign off on things. Most independent labels are between one and 20 people, and the vast majority are run by the people who own them so you can make decisions quickly. They might not be the right decisions, but at least you can make them quickly and respond quickly. You don’t have a corporate chain of bureaucracy to go through. Does it feel good being down in Hammersmith with the label, publishing and studio all together? DM: It feels like we’re really one company again. We were separately physically from the publishing for a while, but we then worked together very closely on a lot of projects. The label and publishing obviously require very different skills, but we pool them across the board for all our artists, whether they’re published by Mute or not, or recorded by Mute or not. The studio was a real piece of luck, it was already there and owned by someone else, but they weren’t really using it, so we’re renting it off them on a long-term basis and we have exclusive use. It was always a big part of Mute in the past, especially when we were in our Harrow Road premises, to have a studio in the building. I very much like having artists around, to have them close, and interacting with people at the label, I can pop in and say hullo, it’s a very informal way of working. DM: Yes with all the pros and cons of families I suppose. Maybe it’s a family, whatever you want to call it, it’s a group of people moving in the same direction trying to achieve the same things. Have you been working with any artists in the studio recently? DM: Not recently, I did do a lot of collaboration with artists in the studio in the early days. I had no real experience in the studio at all, I just had slightly more than they did so I became by default a co-producer and collaborator. I enjoyed that for a while and worked with a lot of the artists, but I don’t really enjoy producing records, I think it’s a real skill and requires a lot of patience that I just don’t have. I enjoy being in the studio and mucking around with sounds, but not on a full-time basis. DM: I remember listening to it and thinking 'well it defines itself, it’s such a great-sounding record'. You couldn’t really muck about with it because if you took one element away or pushed another the whole thing would fall apart. Speaking of the A&R side of things, last time we spoke you said 'I am the only person who likes everything on Mute'. Is that still your guiding philosophy? DM: It was like that for a long time. I still have to love everything that’s on Mute, that goes without saying. But I don’t pick everything and we don’t sign that much. If one of our A&R people really loves something I really interrogate them to find out exactly how much they really like it, but I’m happy to go with their feeling on it. I still have to really like it, but there’s a difference between really liking something and having the passion to live that life for God-knows how many years with the artist. It’s interesting looking at the evolution of Mute from a purely electronic label to suddenly having The Birthday Party, and then how it changed subsequently. DM: When Mute started it was just after punk. Punk did inspire a lot of people to do things that they might not have done before, and it opened people’s minds, so it was a very important moment. But for me musically, things had sped up but not really moved on. Punk had done a really good job of killing stuff off, but it didn’t do a good job of saying what was going to come next. I’d been a big fan of electronic music before punk and I though that it could be a distillation of what punk is all about because it’s much easier to do. Synths had come down in price so you had a choice, where before the only option was the guitar bass drums set-up. Bands like Depeche, who came along later, were a result of that economic story. Music started to drift backwards with new wavey stuff, so I in the early days, I was ideological about it being electronic. But then I saw the Birthday Party, and that reminded me that other instrumentation can be amazing in the right hands. With the internet making music from all over the world so available, and not just illegally, we’re in a fragmented time that feels quite post-ideological. How do you react to that? DM: I think it is, I think it’s brilliant. As a label or a listener you can only deal with so much at one time. There’s a lot of diversity now, it’s opened up people’s access to music, and I think the internet has brought a lot more to music than it has taken away. It’s often blamed for a lot, but it’s given people so many opportunities. I’m not saying we’ve gone totally that way, we’re not a world music label now or anything, but in terms of Mute’s brief we’ve been broadening it out. The most important thing for me right now is not the genre of music. After the first wave of electronic artists we signed, it’s been more about the originality. If you’re original in whatever you do, be that ten minute country songs or making techno records, that’s what interests me, and people who have something to say, and might say it over a long period of time. That could be anyone, be it Apparat or Josh T. Pearson. DM: I spend quite a lot of time in Berlin, it’s like my second home, I have a place there. Apparat was a partner in Shitkatapult, which is now run by Marco Haas who also goes under the name T. Raumschmiere. I knew Apparat for a long time, and they played me this album a few months ago and I fell in love with it straight away. Over the years interviewing Mute artists, they’ve all been full of praise for the freedom they get, and the support. Is it harder to offer that level of support and freedom as the industry has become more difficult? DM: I don’t think so. I work with artists because I think they can do great things, and I have to believe in that. So the creative side of it, when they start to make a record, we’ve talked about it and we know what the process is going to be, so we just let them get on with it. I like the process to be natural, I don’t really think about it. So to this weekend. How did Short Circuit come about? DM: They approached us, and we grabbed it with all our hands. All the artists have been brilliant, they’ve all been really excited about it. A lot of people are off-cycle, and it’s not just another date on their tour, they’ve had to put a lot of extra effort in and I really appreciate that. I can’t wait to see everybody really, it’ll be nice to catch up with some of the artists. Obviously there’ll be complaints about the dressing room not being right or things not being on riders, but generally speaking it’s going to be a lot of fun. It’s really good it’s not a nostalgia fest, you’ve got things like the Nik Void and Carter Tutti collaboration, SCUM playing and so on. DM: Yes, it’s not supposed to be a back to the 80s nostalgia tour. Mute was a 70s label not an 80s label, we’ve got Boyd, NON, he was there at the start, and we’ve got him playing, all the way through to the new artists. I wouldn’t have done this as a nostalgia thing, it’s about where we’re at and where we’re going. And you’re bridging with Raster-Noton too via the Sound Halo loop, that’s really interesting. DM: I’m a big fan of Raster-Noton. We decided to do this loop that’s going to run overnight, nearly everybody made a contribution to that. It’s an hour long, and that’s going to play overnight and in various parts of the venue as well. Also I’m really pleased with the Dirty Electronics project. The Roundhouse does great work with local kids, and 20 or 30 of them are all going to build a synth, and then do a performance. And finally, have you got your Kraftwerk synth fixed? DM: The vocoder? It doesn’t really work. I get sounds out of it, it’s a shame really because somebody spent a lot of time trying to fix it up. I bought it knowing that it didn’t work, so the Kraftwerk boys didn’t go wide on me or anything. They said it never worked properly – it was built for them but it never got finished because they ran out of money. But it’s a beautiful thing and I see it every morning when I have my breakfast.